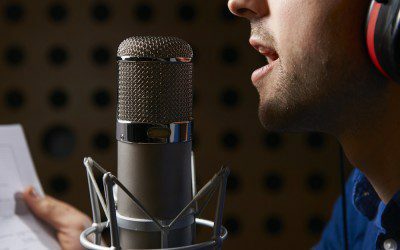 Most people take their voice for granted — until they develop laryngitis, for example, and talking becomes a struggle. Recently, I was writing a piece for health coaches about how to protect the voice, and I wondered if there was any connection between having diabetes and vocal problems. While not as common as other issues or complications, the loss of one’s voice or difficulty talking can be related to poor blood sugar control and/or diabetic neuropathy. Sound is produced when your vocal cords, which are two bands of smooth muscle tissue in your larynx (voice box), vibrate. If you’ve lost your voice (meaning, you’re unable to talk), it means that your vocal cords aren’t working properly. Typically, this happens due to inflammation or infection, which cause vocal folds to swell, preventing the vibration that is necessary to speak. Nervous system disorders and obstructions, such as a tumor, can affect your vocal cords, too. A study published in 2012 in the journal European Archives of Oto-Rhino-Laryngology (how’s that for a journal name?) found that, compared to a control group, subjects with Type 2 diabetes with poor glycemic control and with neuropathy had more straining and voice weakness, and also a significant difference in the grade of their voices. Chronic inflammatory polyneuropathy, or peripheral neuropathy, which affects nerves outside of the brain and spinal cord, can lead to a host of problems, such as difficulty walking, facial weakness, numbness in the hands and feet, difficulty swallowing, and hoarseness or changes in the voice. • Stay hydrated by drinking plenty of water or non-caffeinated liquids. • Limit beverages that contain caffeine or alcohol, as they can be drying to the throat. • Use a humidifier in your home, especially in the winter. • Try not to clear your throat, which can damage your vocal cords. Sip on water, instead. • Sit up straight, especially when you’re talking on the phone. • Steer clear from smoky grills or places where there is smoke or chemical fumes. • Avoid yelling and screaming, even if your favorite team is winning. • If you’ve had a cold or a respiratory infection, try to rest your voice as much as possible, especially if you’re already hoarse. Trying to talk will just make your hoarseness worse. • If you have to talk frequently during the day, try to rest your voice at night. Any vocal problems that last for more than a week or two should be reported to your doctor for further evaluation. He or she may refer you to a specialist, such as a laryngologist, who can look at your voice box and do further testing. Depending on the diagnosis, treatment may include medication, injections, surgery, or sessions with a speech pathologist or vocal coach (voice therapy). For more information about vocal disorders and treatments, visit The Voice Foundation’s website. A year after being diagnosed with depression, Amy Mercer finds herself in a very different place. Bookmark DiabetesSelfManagement.com and tune in tomorrow to read more.